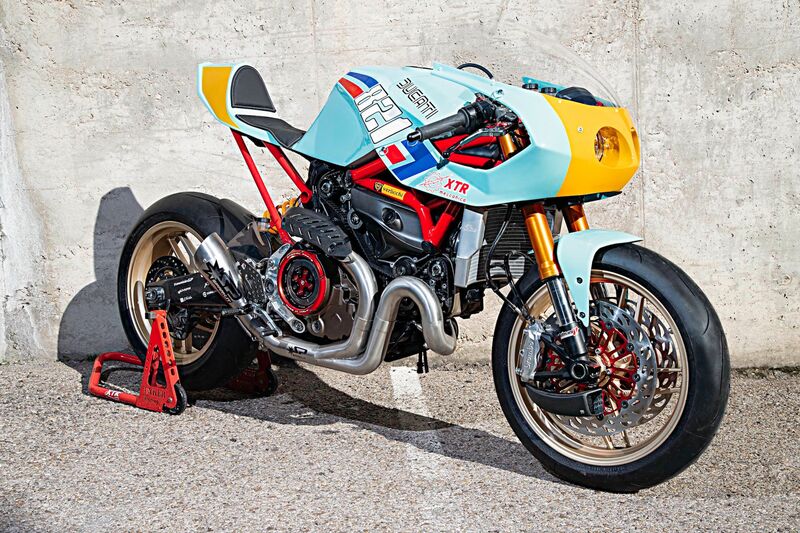 This custom Ducati Monster from the workshop of XTR Pepo is so wildly different to the bike it started out as it’s almost unrecognisable. 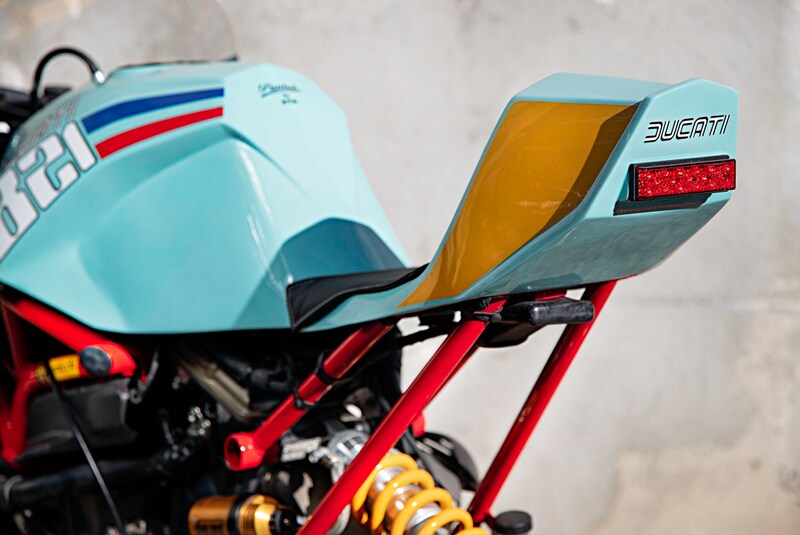 Pepo Rosell has become a very well-known in the global custom motorcycle community for his work with Ducatis – he does work on other makes too of course, but Ducatis have always been his signature. 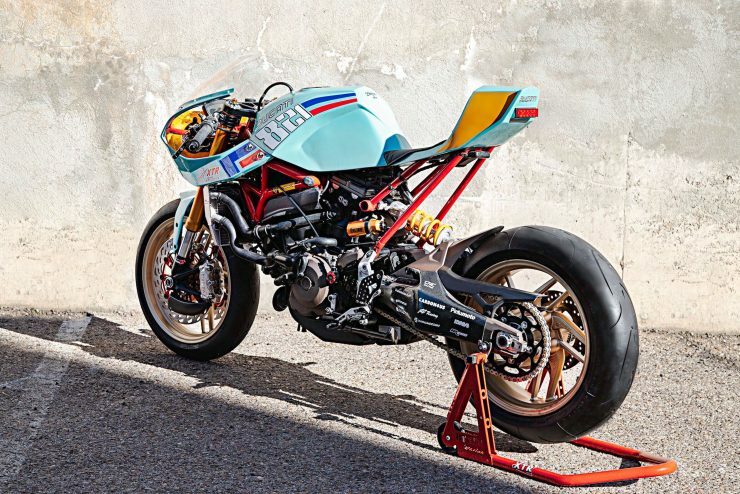 Perhaps the most impressive part of this build is that the fairings, bodywork, lighting, and rear subframe have been developed as a kit that anyone can buy to transform their own Ducati Monster 821/1200 into a street-legal race bike. 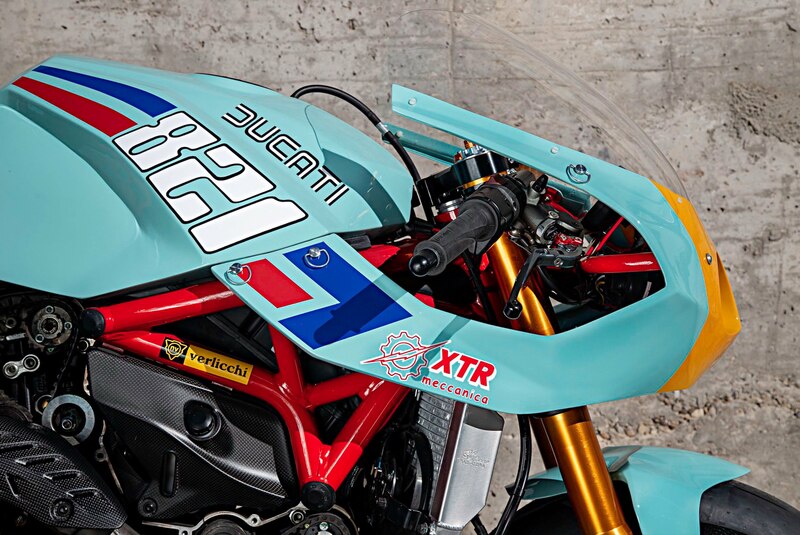 The kit was co-developed by XTR Pepo and designer Alberto Caimi, the latter of whom penned the new bodywork with the aid of CAD software, referencing the styling of dozens of previous XTR Pepo builds into a sleek new package that is likely to become an exceedingly popular kit with Ducati Monster owners. The Ducati Monster 821 was introduced in 2014 to replace the outgoing Monster 796, the new model was fitted with a version of the DOHC Desmodromic 8-valve Testastretta L-twin from the Hypermotard line. Ducati offer the Monster in various guises and engine sizes, but the 821 was specifically developed as a modern version of the very first Monster from 1993 – the M900. 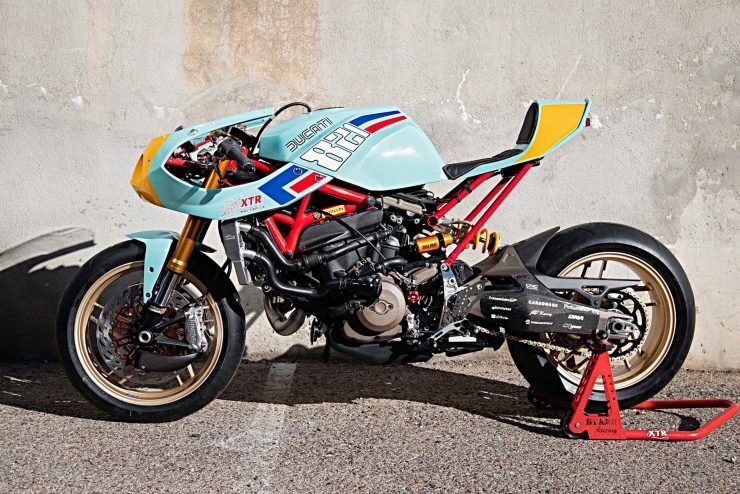 The original Monster was essentially a parts-bin special that was almost entirely built using pre-existing Ducati components to keep costs low. 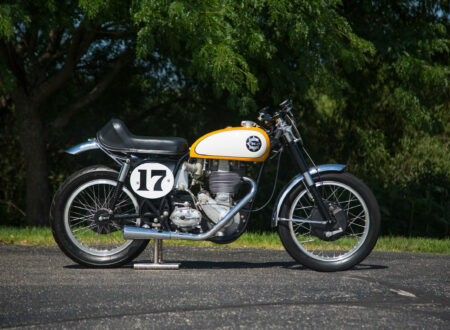 The plan was to build an affordable, modern version of the cafe racer. 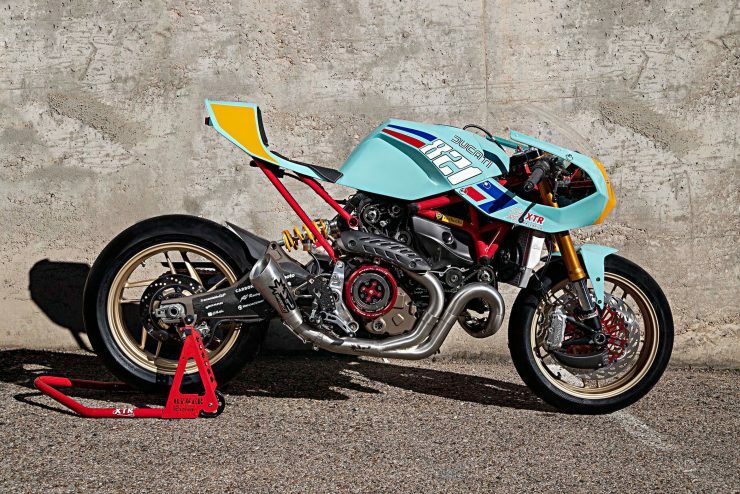 There was no guarantee that this new Monster would sell, in fact many at Ducati had their reservations about it, but it would go on to be such an overwhelming sales success that many now credit it as being the model that saved Ducati. 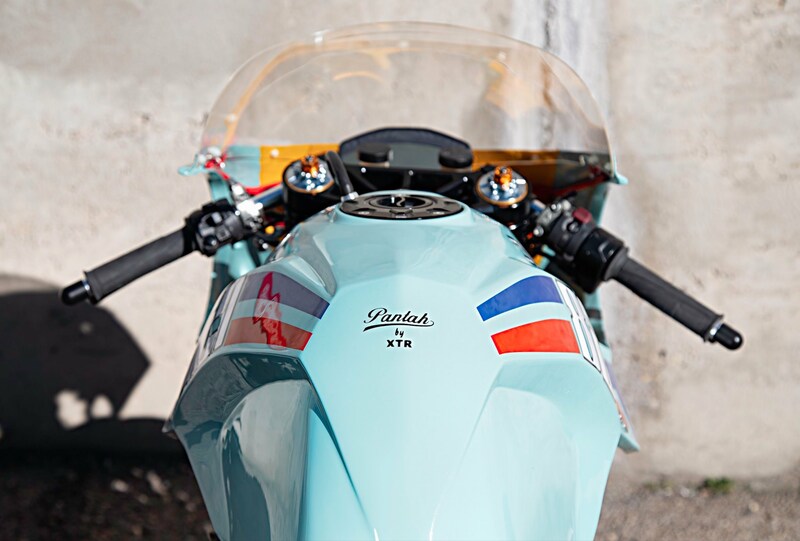 The 821 produces 112 hp at 9,250 rpm and 65.9 ft lbs of torque at 7,750 rpm, and it has a dry weight of 180.5 kg (398 lbs). The Testastretta L-twin has maintenance service intervals of 15,000 km (9,000 miles) and valve clearance control (Desmo Service) every 30,000 km (18,000 miles). 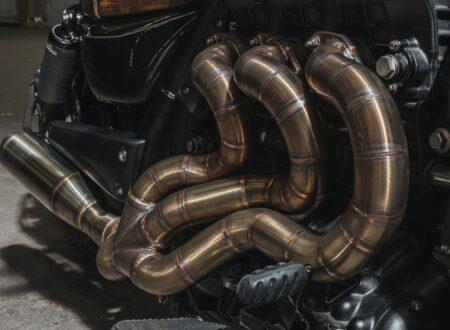 As with all Monsters, it’s designed to be a motorcycle you can commute on everyday, then take out for a ride through the twisties on the weekends. 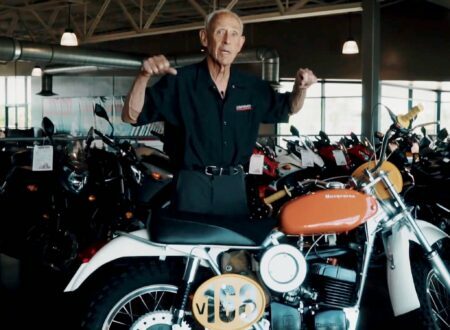 No motorcycle that’s ever passed through the hands of Pepo has escaped without being completely reworked for performance. 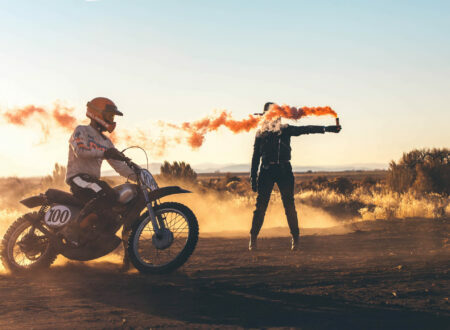 These aren’t custom motorcycles designed to just look good, they’re designed to go fast – the looks are just a side effect. 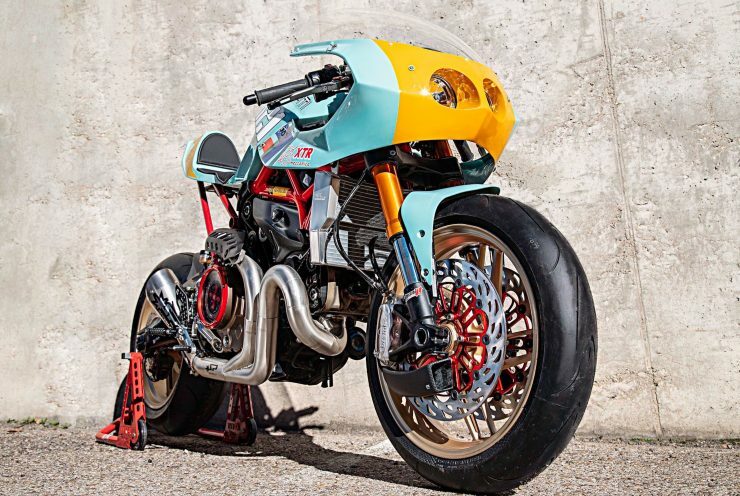 This build started with a full teardown, while Alberto Caimi was designing the new bodywork Pepo was hard at work on the engine, brakes, and suspension. 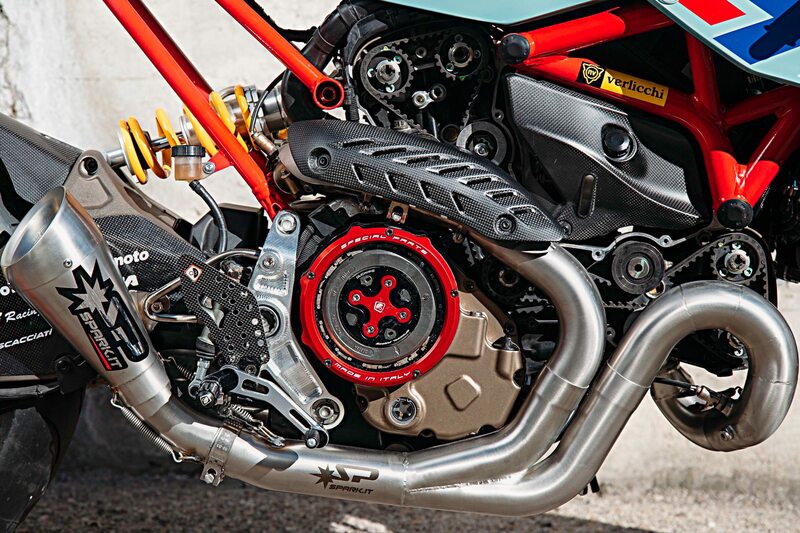 New high-flow DNA Racing air filters were added and paired with Spark 2-into-1 headers and a Spark megaphone silencer. 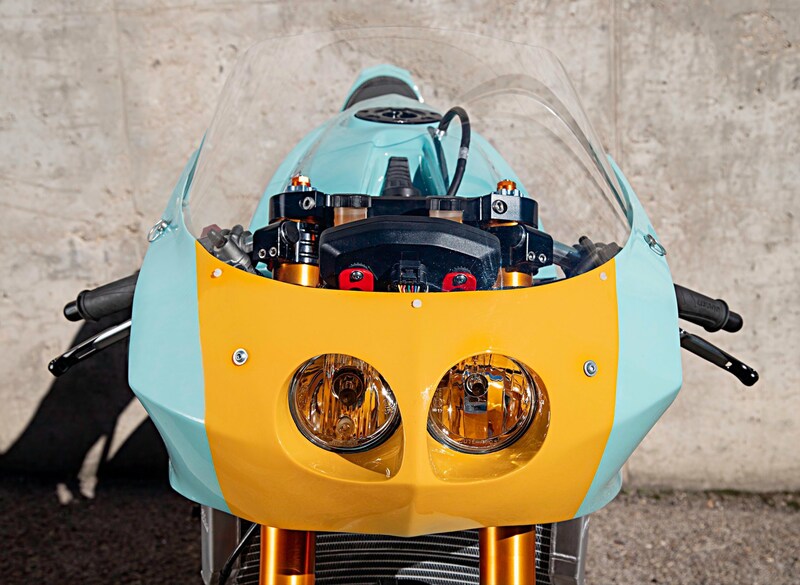 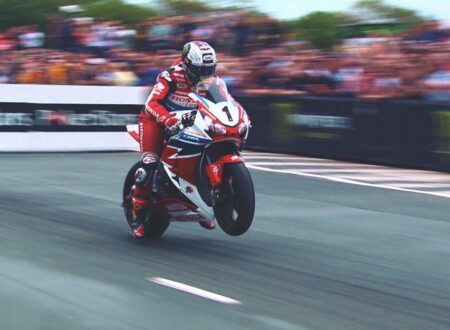 A lightweight lithium polymer battery from Transmission GP was fitted along with clip-on handlebars, foldable CNC machined clutch and brake levers from CNC Racing, and an aluminium race-spec radiator from RC Radiators. 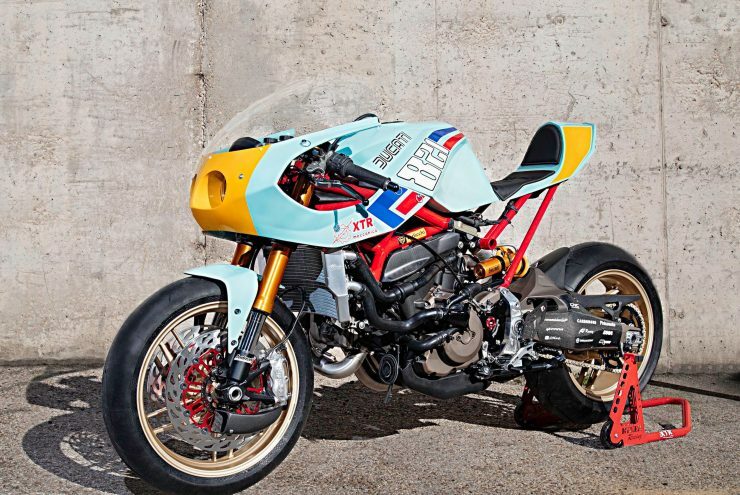 A hydraulic clutch conversion kit was added along with an Öhlins monoshock in the rear, new internals were fitted inside the forks, and a number of lightweight replacement carbon fibre parts from Carbon4Us including a water reservoir cover, the exhaust cover, the coil covers, the rear mud guard, and the water pump protector. 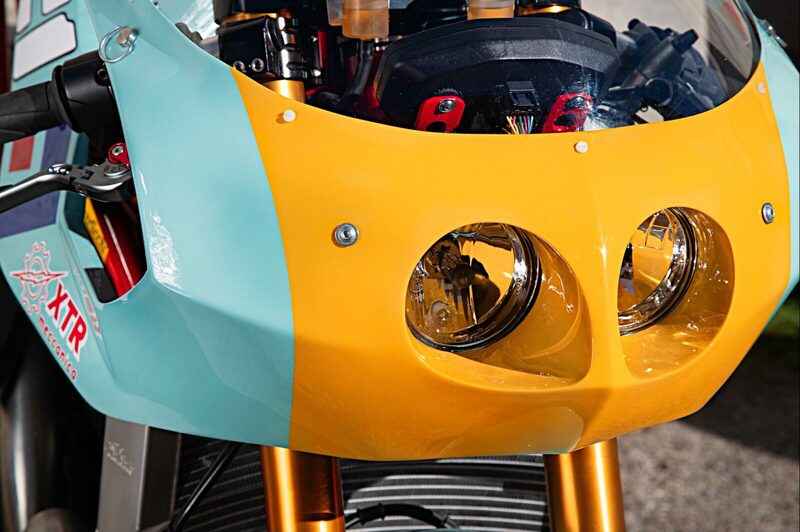 The new rear subframe is a bolt-on replacement (no welding required), and all the new bodywork is plug and play, designed to be simple and manageable for those with a simple home garage to do by themselves over the course of a weekend. 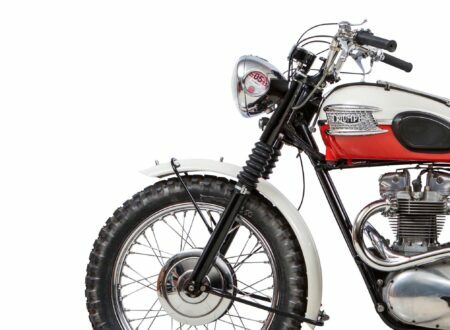 If you’d like to see more from XTR Pepo or buy your own kit you can click here to visit the official website.